Founded in Boulder, CO in 2001, Big Chill started with a plan to make the refrigerator more stylish. Inspired by vintage appliances, Orion Creamer and his uncle, Thom Vernon, created a retro style design with bold colors and modern efficiency. Over time, the company has expanded to bring era-inspired design to your kitchen. Stoves, dishwashers, and refrigerators come in 200+ color combinations. I'm partial to the classic line. 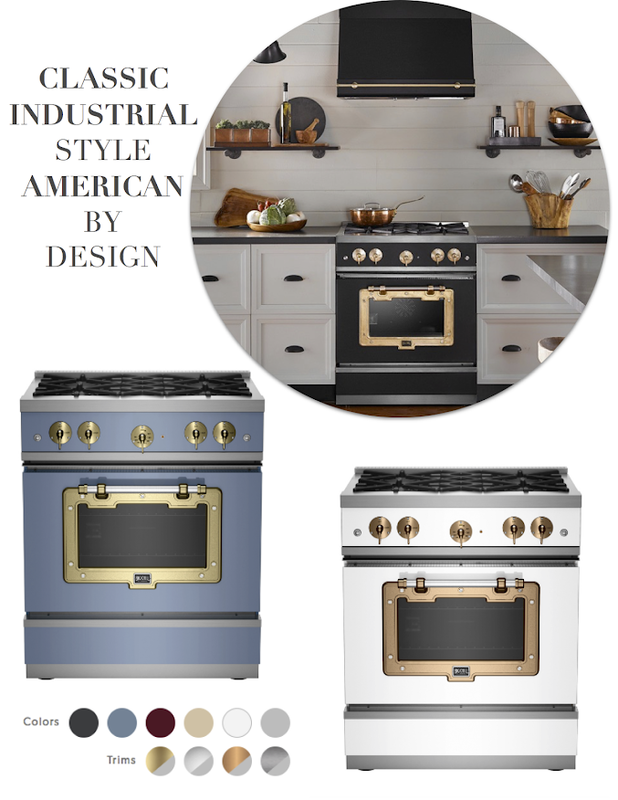 The stoves and hoods are everything I want in a design and the colors are spot-on! Head on over to Big Chill and let me know what your favorite piece is! You can also enter their kitchen design contest here to win any Big Chill appliance of your choice!